Starting at $75 for weekly or bi-weekly lessons and up to $100 for the occasional lesson. Please contact Charlie Shoemake for more information. Also visit us on YouTube. I can’t even tell you how excited I am about this! 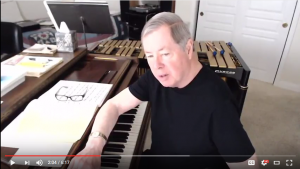 One of my most important musical mentors, Charlie Shoemake (private jazz lessons), is teaching again via Skype. For any of you who like to explore different concepts in developing your jazz improvising skills and want to look at a proven method for what and how to practice, please get in contact with Charlie Shoemake and take some Skype lessons. He is BACK at it with the teaching. Charlie will customize the lesson to your needs and the level you are at, so don’t be intimated. I was real good at improvising by ear up to a point when I met Charlie. He helped me understand more about how to deal with the chromatic alterations of ii/Vs and iii/VI/ii/Vs, develop vocabulary and chromatic comfort in all key centers, and spend some time with “the masters” assimilating their vocabulary, style, sound, etc. 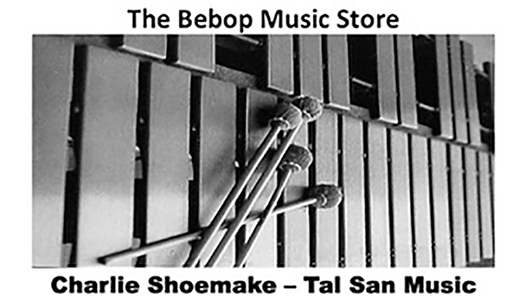 And… Charlie IS a world-class master teacher and artist, deeply steeped in the bebop/hard-bop tradition and beyond. Not making this statement lightly or to embarrass Charlie, as he is a very humble man. It’s just true! All I can say is that those who don’t at least go and take a lesson and see what it’s about are missing out on a HUGE musically life changing opportunity! He changed mine! Nuff said!